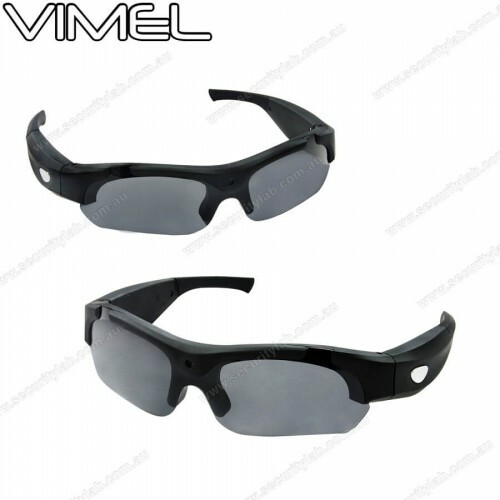 Vimel Hidden Camera Sunglasses 1080pThese glasses can serve as a surveillance device; it can ga.. These glasses can serve as a surveillance device; it can gather evidence at any time of the day, with an invisible hidden lens the functionality of this camera can disguised, what makes this a distinguishable device is build structure, the rubber material can perfectly cover all the hidden button and usb ports, with the rubber coverings the usb ports and the buttons can resist small water drops and any potential liquids. Whether you are playing sport, exercising or riding a bike these glasses have you covered in all areas of activities, store your recorded events on an external memory card and transport your recordings to your desktop on a go. 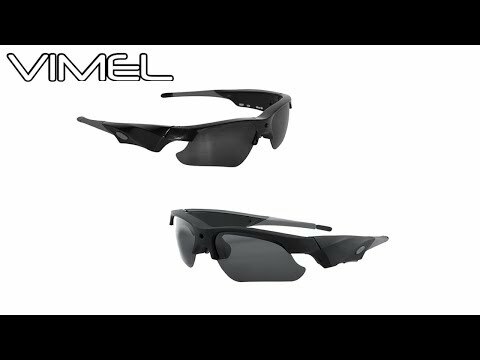 The Action Sport Sunglasses Camera pursues the purposes of being multifunctional in all the needed areas, they are best accomplice of all your daily activities, you can record all of your activities at a touch of a button, with built 500mAh rechargeable battery recording can last longer than 2 hours, with high rubber material pad this device can be both durable and waterproof.